The "Y Towers": Residential Tower and Maritim Hotel Amsterdam. The Buildings together are named Y-Towers now. 2017 was an exceptionally good financial year for Maritim Hotels, with highlights including a significant increase in turnover in Germany, further successful hotel renovations and no less than three prestigious awards. 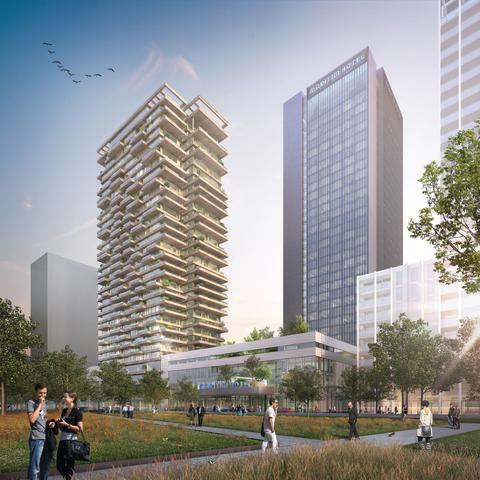 At a festive "Ground-breaking Event" in Amsterdam, the foundation stone was symbolically handed over for the new Maritim Hotel Amsterdam. The kick-off for the project was initiated by the investor group, INVESTOR United Benefits and IES Immobilien with the Maritim Hotelgesellschaft as the hotel operator.